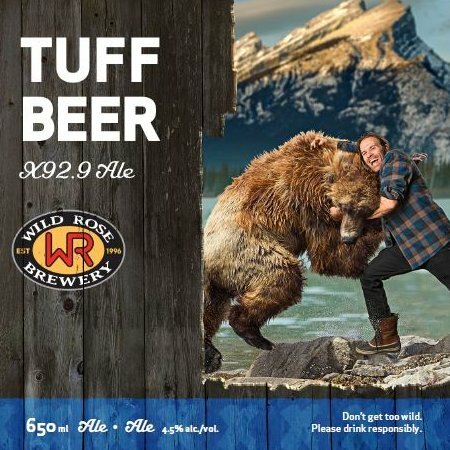 CALGARY, AB – With two new beers, a new sampler pack, and a completely revamped look for its full brand line-up all being launched in the last two weeks, it’s been a busy February for the Calgary’s Wild Rose Brewery. 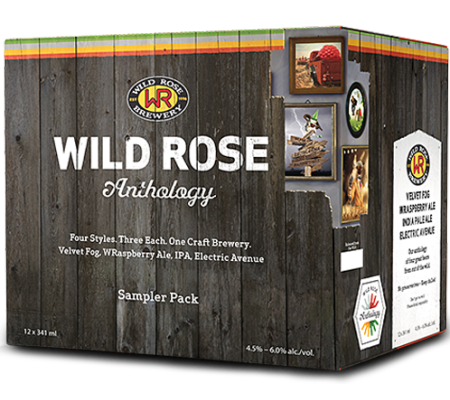 The new Wild Rose Anthology 12-pack features three bottles each of three established Wild Rose brands – Velvet Fog, Wraspberry Ale and IPA – along with the new Electric Avenue. The latter is a 5% abv golden lager with a “perfect blend of malt flavours,” a “wide-open aroma with a crisp, dry finish,” and a name inspired by the infamous district of the same name that dominated Calgary’s nightlife scene in the late 80s and early 90s. Also new from the brewery is Tuff Beer,a 4.5% ale brewed in collaboration with Fraser Tuff, the morning show host at Calgary’s X92.9 FM. Available in a limited run of 650 ml bottles, proceeds from the sale of Tuff Beer will be donated to The Canadian Music Therapy Trust Fund.